Explore a world of days gone by when you take a vacation throughout the Indonesian archipelago with Silolona. 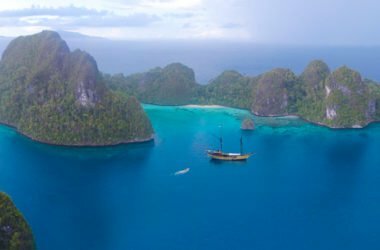 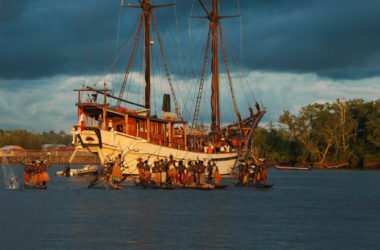 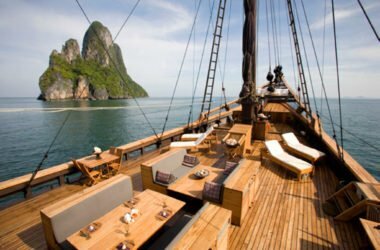 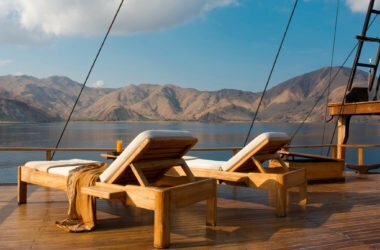 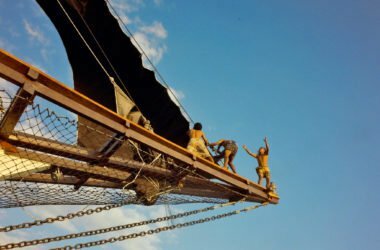 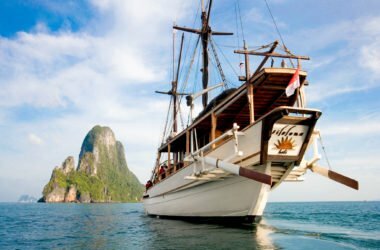 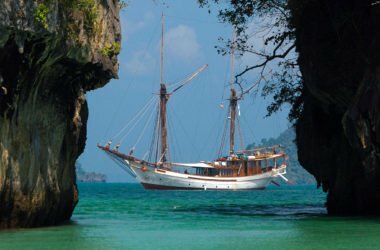 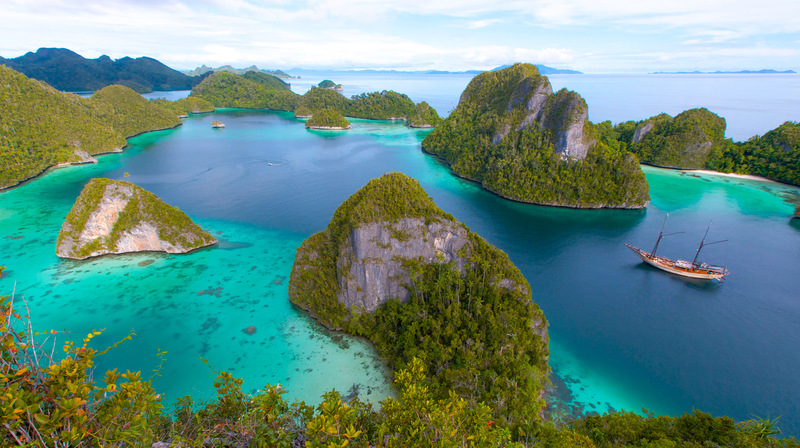 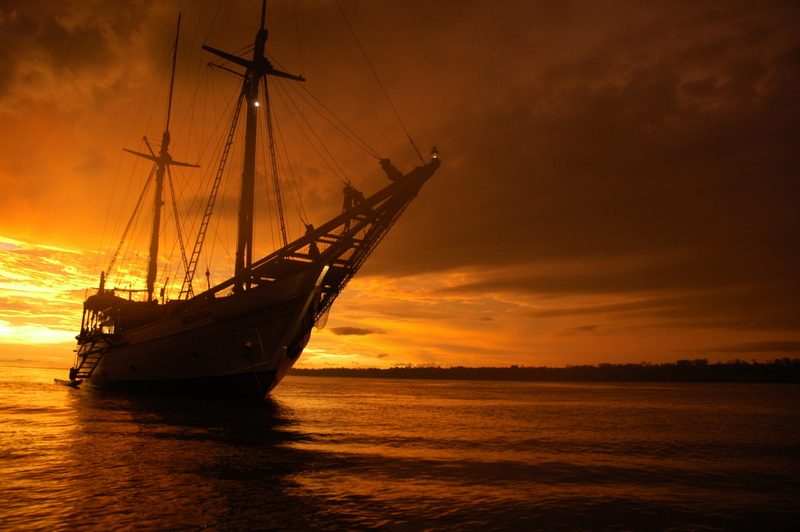 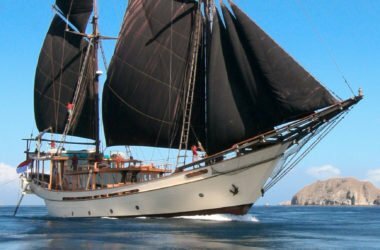 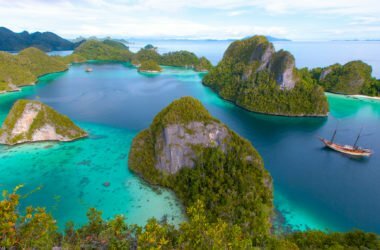 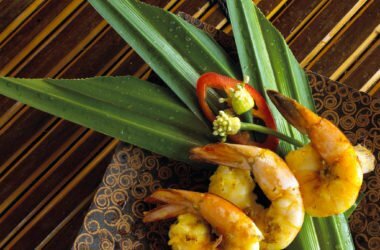 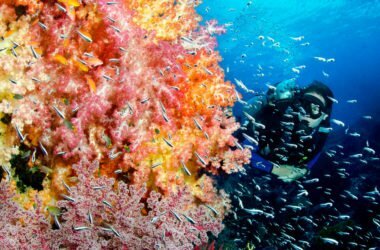 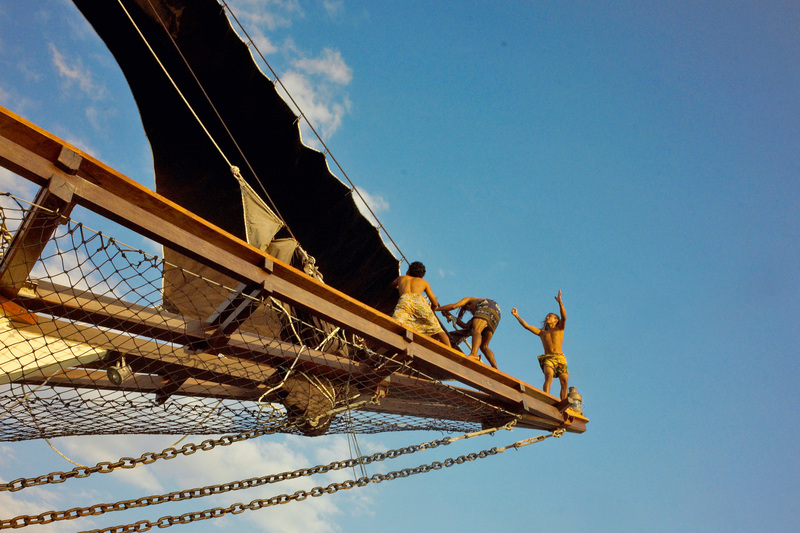 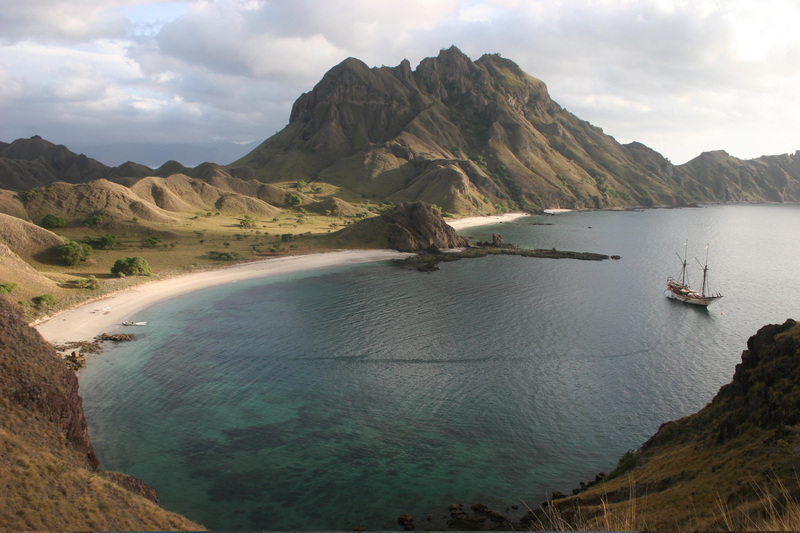 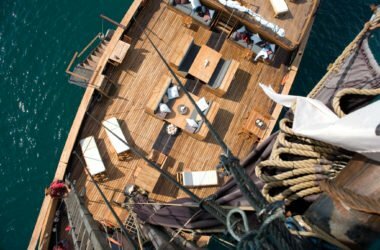 Tailoring each and every charter they go on, owner Patti Seery is fiercely proud of the heritage and culture of the Indonesian islands and their people. This 165 foot sailing yacht has more than enough space for a party of 10 guests. With so much space to play with, you never have to wait your turn for the best seat in the house. Ample seating and deck space abounds to take in the changing views as you slowly hop from isle to isle in style. 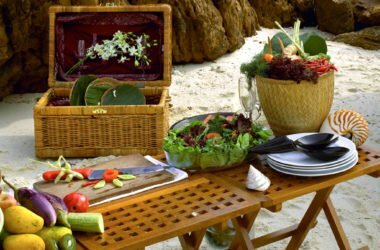 Alfresco dining is perfect to toast your incredible adventure under the stars. 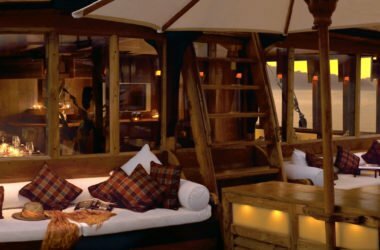 While during the day, the tables can be converted into extra lounge chairs to relax in style and comfort. Once inside, Silolona features five luxurious cabins tastefully decorated with influences from across the archipelago. 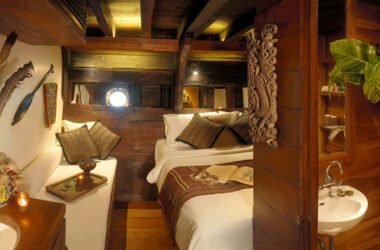 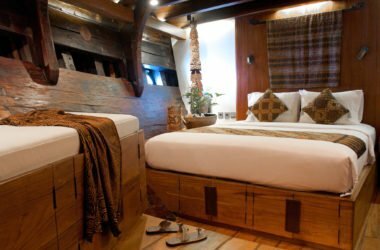 Three master cabins feature king sized beds, while the remaining two offer double beds and exotic decor. 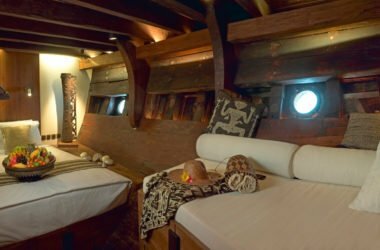 Panoramic windows throughout mean the views don’t have to stop when you head inside. 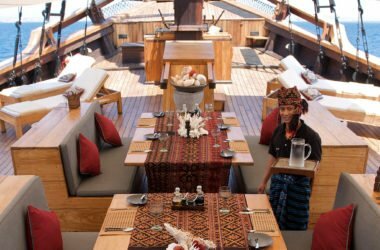 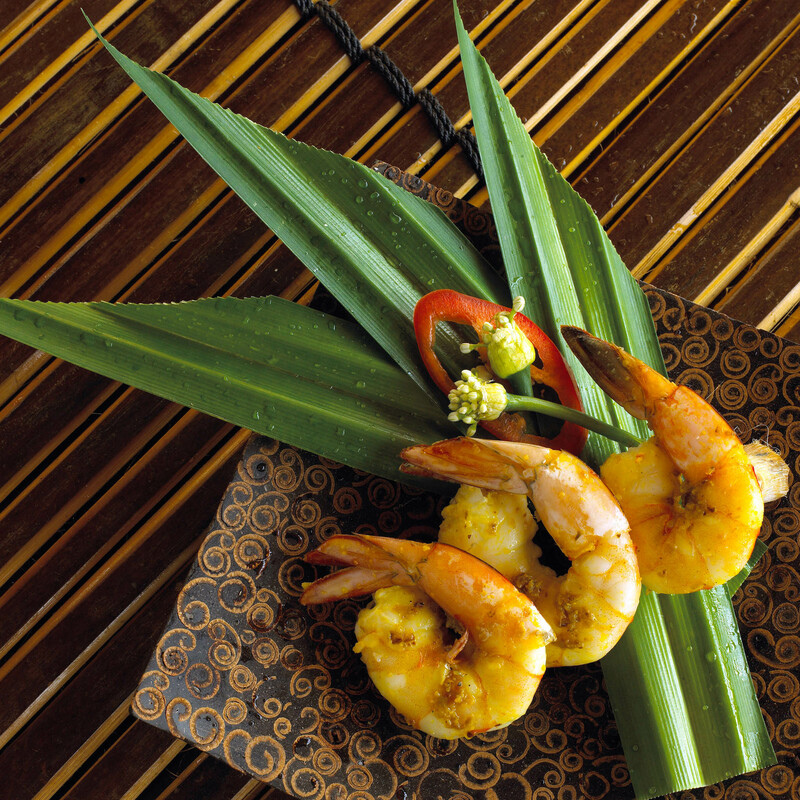 A formal dining area awaits with delicious creations served up from the yacht’s very experienced chef. 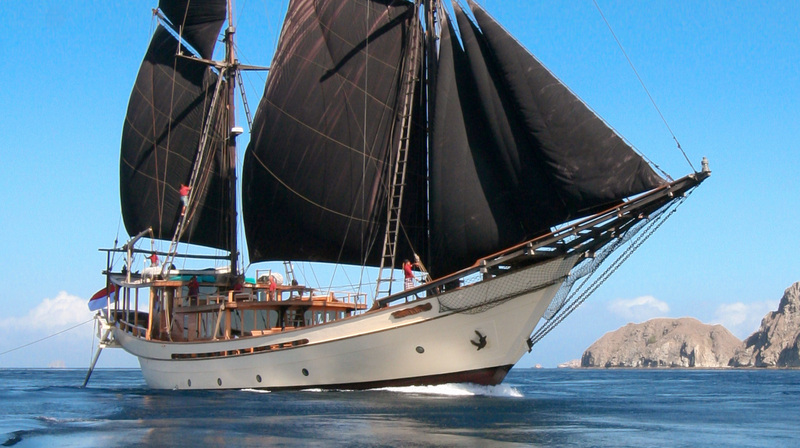 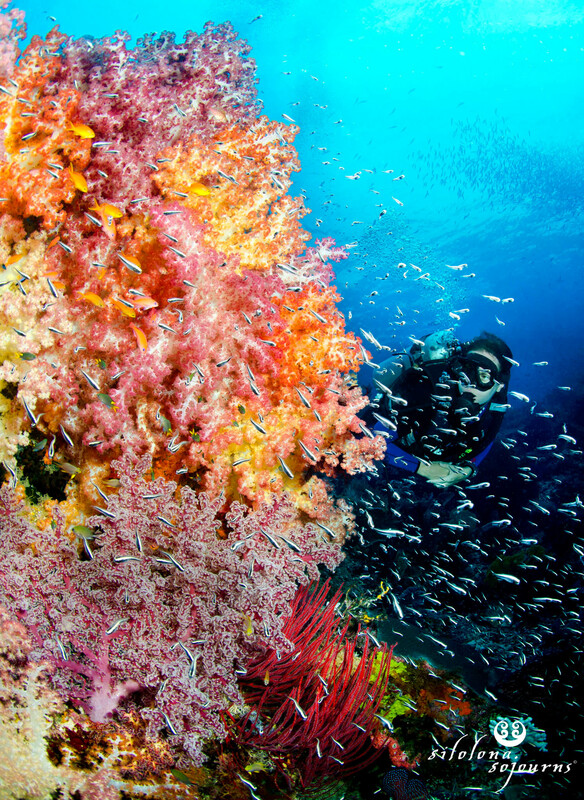 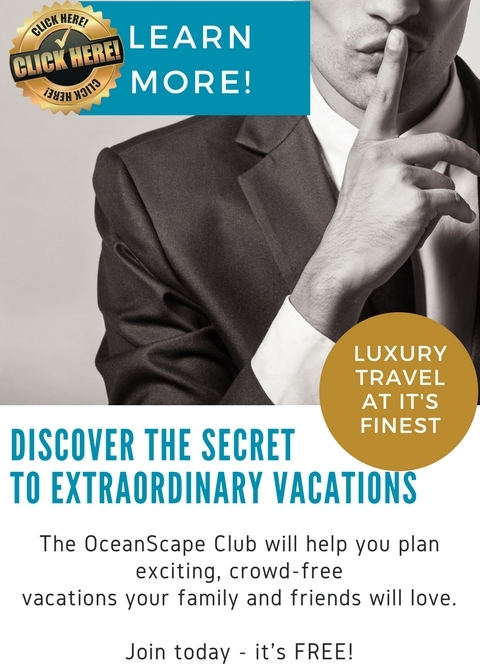 This fantastic experience is available for $14,875 per week per person based on a 7 night charter and 10 guests. 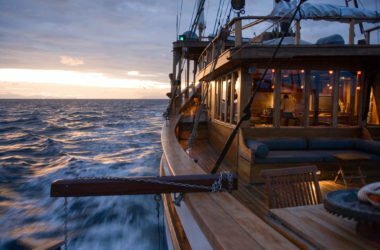 Price includes a base charter rate of $119,000 with the additional 10% covering basic taxes, 5% projected alcohol consumption and 10% gratuity. Any special requests over and above will be at an additional cost.